Let’s get real for a moment. You’re not the only one who doesn’t want to go to your office holiday party. In fact, 90% of workers just aren’t that into it. They would happily give up the holiday office party in favor of a bonus or raise. 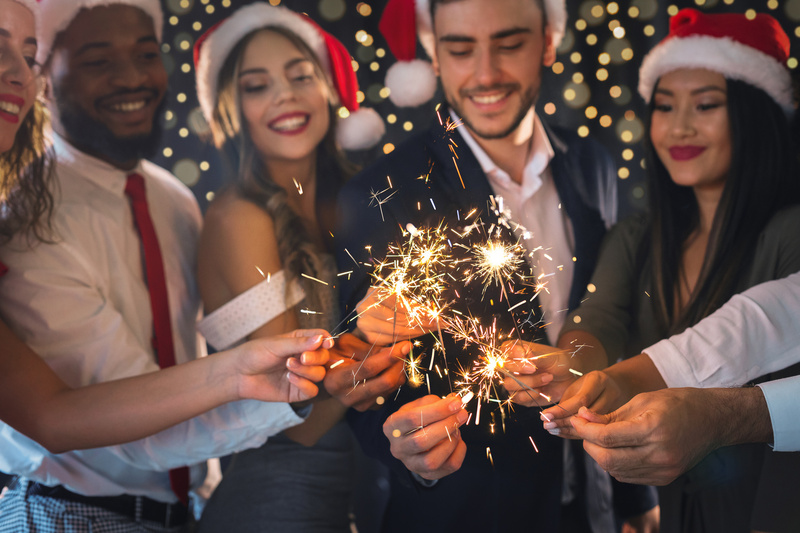 But for the introvert, the holiday work party can bring massive anxiety as they face the prospect of having to leave their desks, mingle and navigate small talk. For the introverted among us, it can be downright exhausting to think about trying to keep pace with the endless chatter of the office extraverts who never seem to miss a beat in their conversations. The fact is that while up to 50% of society is comprised of introverts, most environments and events seemed to be designed with the extrovert in mind. If you happen to be one of the bright, silent, pondering (introverted) types, you’ve likely learned to cope in an extrovert’s world by graciously backing out of events that don’t strike your introverted fancy. But though the holiday work party might feel mentally draining just thinking about it, don’t back out just yet. Events like these can be a great time to step outside of your normal, comfortable routine of ducking behind cubicle walls and keeping your eyes glued to your computer screen as you strike up acquaintances with your coworkers in a fun environment. Not only does it give you the chance to get to know your fellow coworkers, but for you to become known too. Ready to push your boundaries and build up your career by joining the rest of the team? Have no fear, because we’ve got the introvert’s hassle-free guide to surviving the holiday work party. It’s a BYO (bring-your-own) kind of world. And that puts social gatherings back in your hands. If your company allows guests at the holiday work party, you should definitely bring your own friend (BYOF!). This will not only minimize the discomfort of trying to fit in with a room full of chattering people but give you an easier way to strike up conversations with the help of your friend. Important note: Make sure the friend you bring leans more toward extraversion--or at the very least is a good conversationalist. More often than not, nerves can translate into a stoic face that can look a bit aloof. The unfortunate thing is that’s probably not what you’re feeling at all. After all, if you were aloof you probably wouldn’t just skipped the party. But the good news is a smile can change perceptions of you—and even your own feelings. So if you are worried (and many introverts are notorious for being just that) mustering up a smile can make you appear more confident and open, making you more approachable by your coworkers. Preparation and planning can minimize the nerves and maximize the fun that can be had. Before you head over to the event, make a mental list of what coworkers you want to connect with or who you’d like to meet. This will give you a mission, which, once accomplished, gives you permission to go home (as a well-connected person, we might add). The thing about introverts is you’re probably great at delving into deeper conversation, but small talk may just make you cringe. But prepping some interesting topics beforehand can do wonders for your anxiety level. Catching up on the news, the latest sports scores, movies, anything pop culture related (or coming up with specific questions for specific people) are great ways to break the ice and get the conversational magic flowing. Don’t feel pressured to stay in the thick of the party for two, three or four hours without a mental break. Knowing you can take time to recharge your batteries when you need to, even in small ways, can keep the anxiety and mental fatigue at bay. If you have time prior to the party, indulge in a bit of solitude to gather up your energy for the festivities ahead. Feeling a bit overwhelmed during the event? Take an extended trip to the “rest” room, or step outside for a bit to breathe in some fresh air. Once recharged, you’ll be ready for round two and more! This holiday season, make a plan to not just show up to the party. Make a plan to thrive and even enjoy meeting and greeting the rest of your company’s tribe.